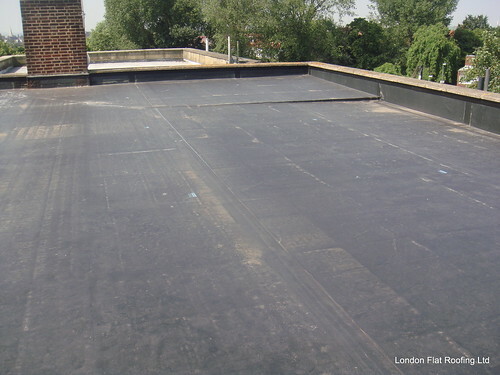 EPDM rubber flat roof North London, a photo by EPDM Rubber Flat Roofing on Flickr. 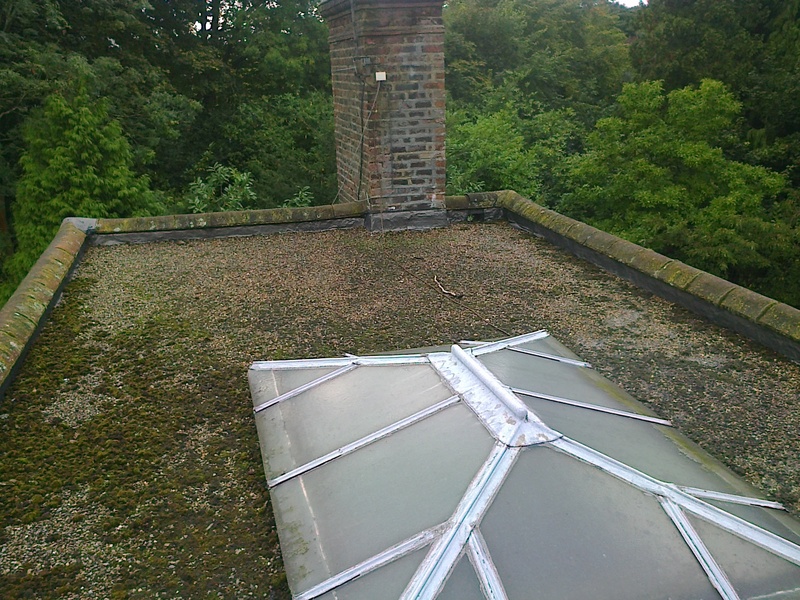 This is an EPDM roof we fitted 8 years ago. As you can see, apart from some dust, the roof is perfect as you would expect, as 8 years is only around a quarter of its expected lifespan. 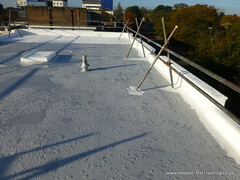 If you look across the EPDM rubber roof you can see that we have made adjustments to the falls and how the flat roof drains, over in the far corner the insulation supplied by Kingspan and laid by www.london-flat-roofing.co.uk falls in a different direction from the main roof, thus channeling the water to the outlets. EPDM can withstand water standing on it, however it’s never a good thing to do if you can channel it off. The EPDM we used on this roof comes with a 20 year insurance-backed guarantee, and is expected to last for up to 40 years. There are different EPDM rubbers on the market, and they all come with different guarantees. We are trained installers of three different EPDM rubbers – some come in small sheets and some in large sheets, depending on the flat roof that we have to lay. 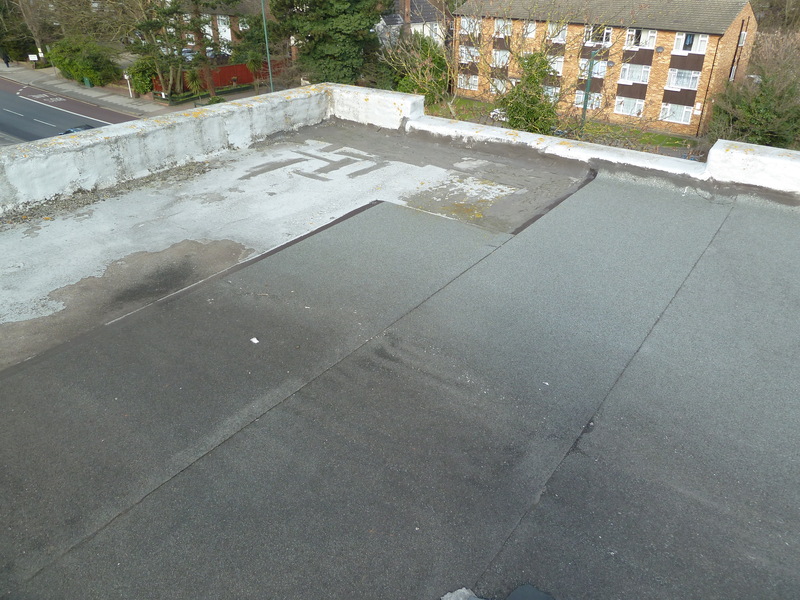 The roof cover depends on what EPDM rubber waterproofing membrane we use. 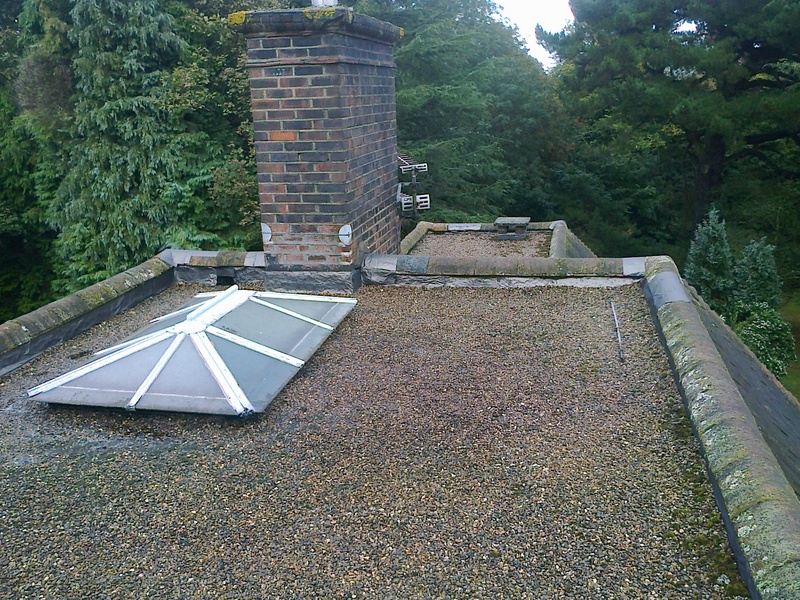 Please contact us at London Flat Roofing or call 020 8421 3193 for more information.